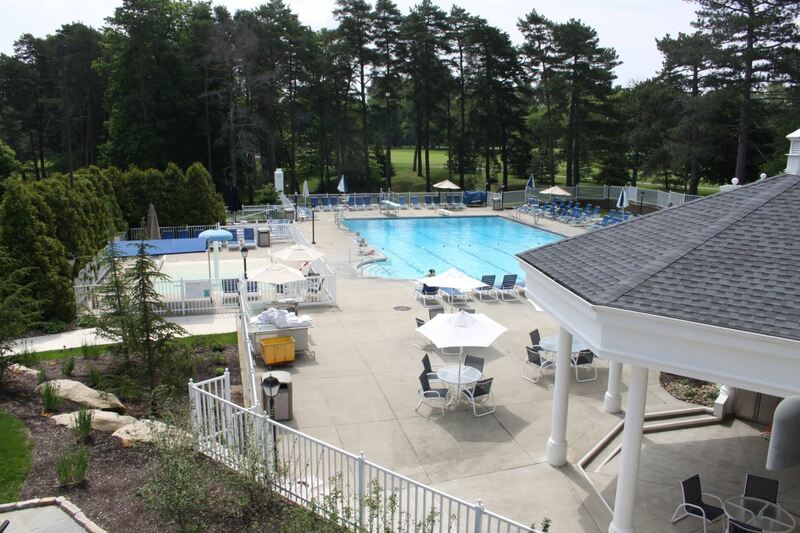 The Olympic-size Swimming Pool at Westwood offers summer-long fun for members and guests. Alongside the pool is also a gated Kiddie Pool with a gentle cascading umbrella fountain that the little ones enjoy or adults can relax in the Adult Only section. The Poolside Cafe offers full menu and beverage service which can be enjoyed in the shaded Gazebo eating area or among the expansive lounge area around the pool. There is also a large play set for kids to enjoy on their swim breaks. Westwood's Certified Life Guards offer individual and group lessons throughout the season for those of all ages. The Westwood Dolphins Swim Team practices daily and has weekly meets against area clubs. Numerous pool-side events are scheduled such as Dive In Movie Nights, Diving Competitions, Watermelon Races, Goldfish Dive, and so much more!